SPPD: Pink Patch Project Continues. 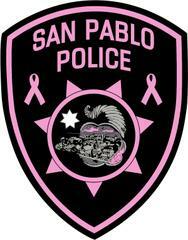 . .
October is Breast Cancer Awareness Month, and SPPD is one of the newest members of the Pink Patch Project (PPP) along with many other agencies. Our officers and non-sworn personnel voluntarily and at their own expense, are displaying these patches on their uniforms throughout the entire month of October. in the Pink Patch Project to combat breast cancer by raising public awareness and by raising funds for breast cancer education, research and treatment. public about the importance of early detection and treatment in the fight against this disease. goal of fighting breast cancer on a larger scale.